There was one silence that drowned out any mention of a relative very close to us– my grandmother’s sister Rachel. I grew up knowing Babcia (the Polish term for grandmother) came from a large family, though on the rare occasions this was mentioned, it remained unclear how many siblings she had. The number of siblings was fluid, probably in part because even simple quantitative questions like this often have no absolute answer. It depends on temporal factors–who was living at a given time–and also on who was counted. As best I can tell, my great grandmother Hinda gave birth to twelve children; two died in infancy, leaving ten; one more committed suicide as a teenager and another died in her early twenties during childbirth, leaving eight; The older siblings died before I was born–one in the 1920s, two more in the 1940s, and another probably in the second half of the 1930s. This left four sisters, two who lived into the 1960s, one who died in the 1980s, and my grandmother who died in 1993. From oldest to youngest these four were Sarah, Hanna, Rachel, and my babcia Halina. My mom told me about Sarah (though we called her Lusia), and I knew Hanna (whom we called Nunia) well, but I don’t recall any mention of Rachel. This is despite the fact that she was the sister closest in age to my grandmother. I’m sure that part of the reason for this silence was that it would have been difficult to talk about her without revealing she lived in Israel, and that would have further revealed she and the rest of Babcia’s family were Jewish. Another reason I never heard about her may well be because Rachel passed away when I was just five or six years old. Still, I was only a few months old when Sarah died and yet I did know about her. I just don’t know; I can only guess why no one told me about Rachel. When I first started to learn about Babcia’s family, I thought that maybe there wasn’t any contact between Halina and Rachel, but the more I find, the clearer it is that relations were not cut off between them. In fact, the secret of our Jewish heritage was hiding in plain sight. No one denied it. They just refrained from talking to my generation about it. It’s likely Babcia never had much to do with her oldest siblings. Liba was 22 years older and married with two children of her own before Babcia was born; Jakob was 20 years older and Abraham/Jon was 17 years older. 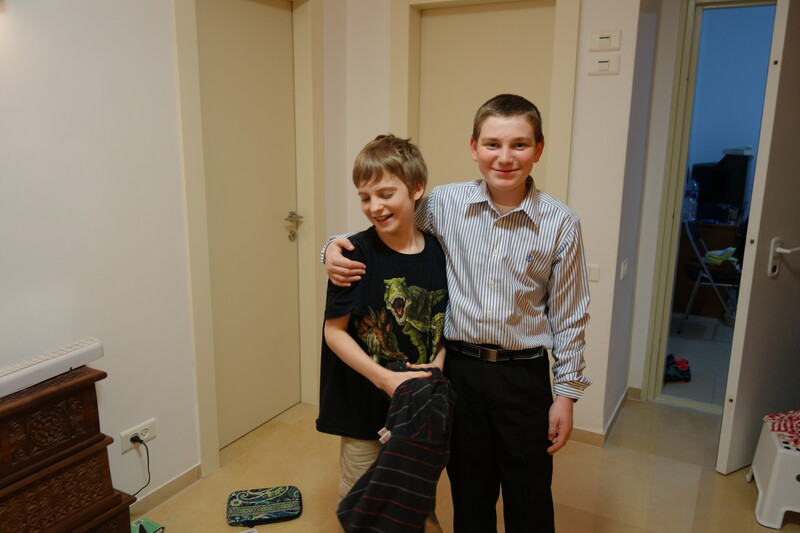 Abraham and Efraim/Philip (12 years her senior) moved to the United States when Babcia was just ten years old. Sarah, though two years older than Philip, stayed in Poland until the 1930s so Babcia probably knew her better. Still, Philip visited Poland regularly; he seems to have valued family and worked to maintain relationships. He sponsored a steady stream of relatives to the US, including eventually Babcia and my mother. I have found some fragments—bits of information and partial vignettes—confirming Rachel and Halina were in regular contact, and even came to each other’s assistance during and after World War II. Some traces suggest, however, that these two sisters may not have always seen eye to eye. 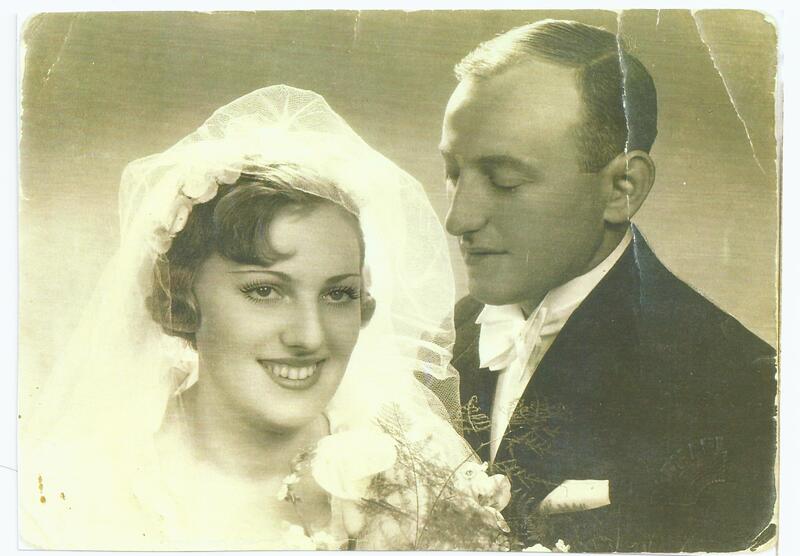 I remember being told that “Papa” (what my mother and my grandmother called Zygmunt Bereda, my grandmother’s second husband) saved a number of Jews during the war. It seems possible Rachel was one of them. 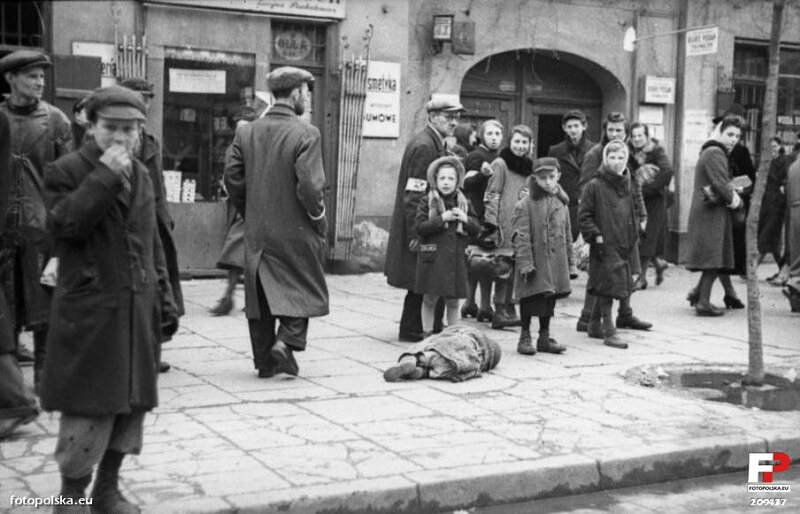 She spent some time in the Warsaw ghetto. After her husband Pinkas Kolski died in 1940, she escaped with her youngest child Mirka and spent the rest of the war on the Aryan side under false papers. Papa had both the connections and the money to arrange such things. Stanley, Sarah’s son, credits Bereda with saving Jews including family members. Aunt Pat (the wife of Bereda’s son and namesake) told me last month that when Mirka came to the US in the late 1960s, she went out of her way to find Uncle Sig to thank him because his father (namely Zygmunt Bereda) saved her and her mother. I wonder if anyone else in the family knows this story. Did Rachel and Mirka tell their descendants anything about this? That would have meant acknowledging they had Catholic relatives; was there a mirrored silence about that among my Jewish relatives? Immediately after the war, fortunes reversed. Babcia and Papa’s properties were mostly destroyed and they lived for a time with Rachel and the Mochorowskis. The Mochorowskis’ connection to the family is interesting. Rachel’s son Samek was murdered by Nazis in 1942. His widow Kornelia (Nelly) remarried an engineer named Czesław Mochorowski. 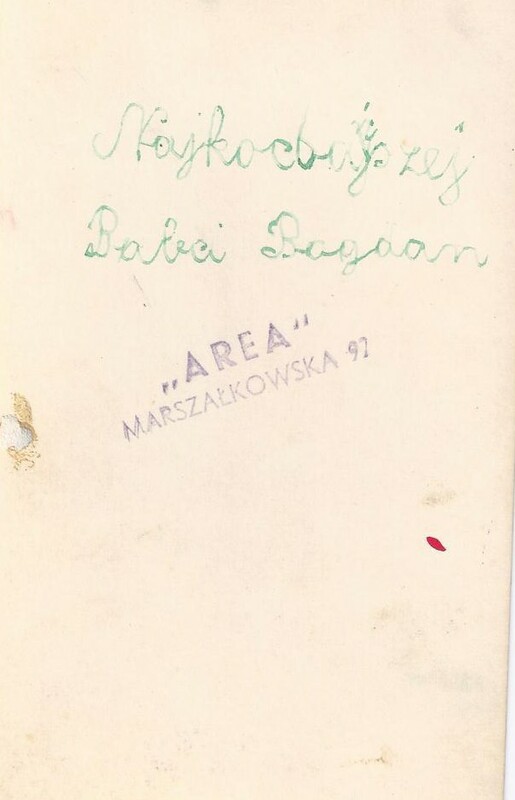 Babcia, Papa, and Maria (my mother) are listed as residing at two addresses in 1945 “u Mochorowskich” which means “at the Mochorowskis’ [home].” One was on Lwowska Street in the Mokotów district which was not bombed because it was where the occupying Germans had lived; the other was across the river in the Praga district that was not severely damaged, either. What led me to discover that Babcia lived with Rachel after the war was the electronic database of Warsaw ghetto survivors. But why were the Beredas (Halina, Maria, and Zygmunt) in this database? 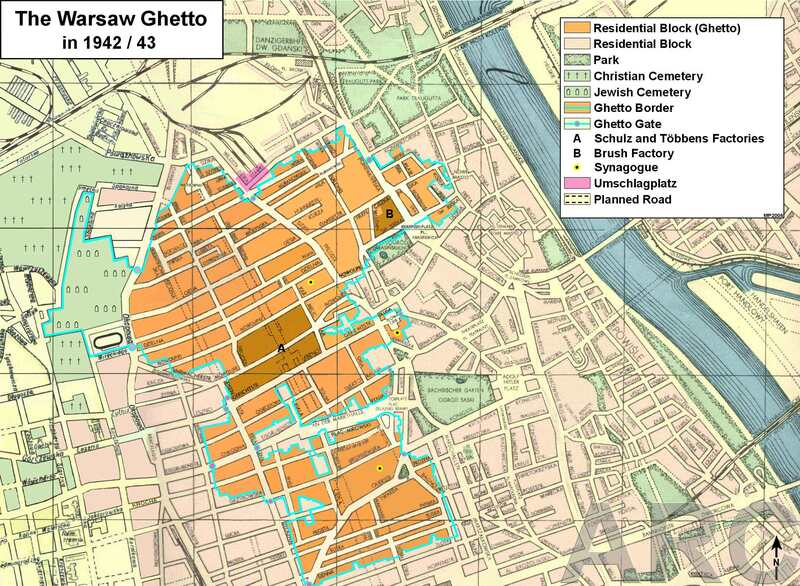 As far as I know, they never lived in the ghetto, and Zygmunt was never a Jew. Further, I was under the impression that Babcia and Mama had hid their Jewish roots for years before the war, and especially vigilantly during the war. Why would they report themselves as Jews after the war ended? 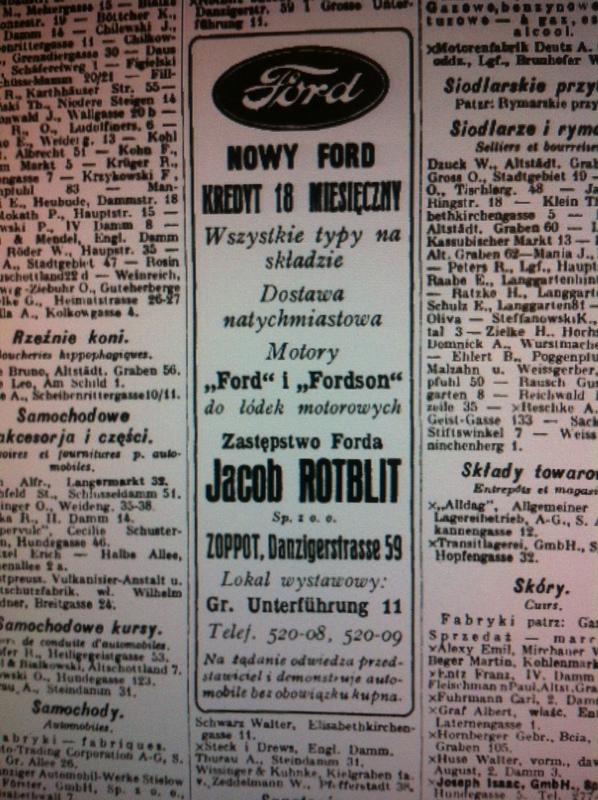 It’s a good thing the Jewish Historical Institute (ŻIH) in Warsaw keeps the original records. Even though they don’t answer the basic question why my family was listed at all, the original documents contain additional information about them, information that was not recorded in the digitized database. The archivists at ŻIH also explained to me that immediately after the war ended, all surviving European Jews were asked to register, not just those who had been in the Warsaw ghetto. 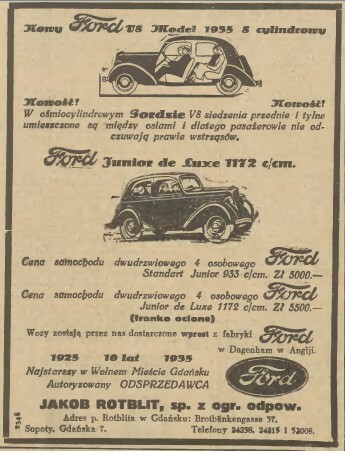 Over 58,000 names were collected in Poland. Paper was hard to come by right after the war, so the registry cards from 1945 are written on the backs of old business records (accounting information and the like) cut into small rectangles. By 1946, printed “information cards” had spaces for specific data, including name, age, residence before and after the war, profession, and means of survival. I will say more about these cards in a future blog post. The key point here is that Halina, Maria, and Zygmunt Bereda were listed at the same addresses as Rachel Kolska and Nelly Kolska (later Mochorowska). In other words, although Babcia’s father declared her dead after she married a Catholic (Bereda), Babcia and her sister Rachel were on good enough terms in 1945 to share an apartment. 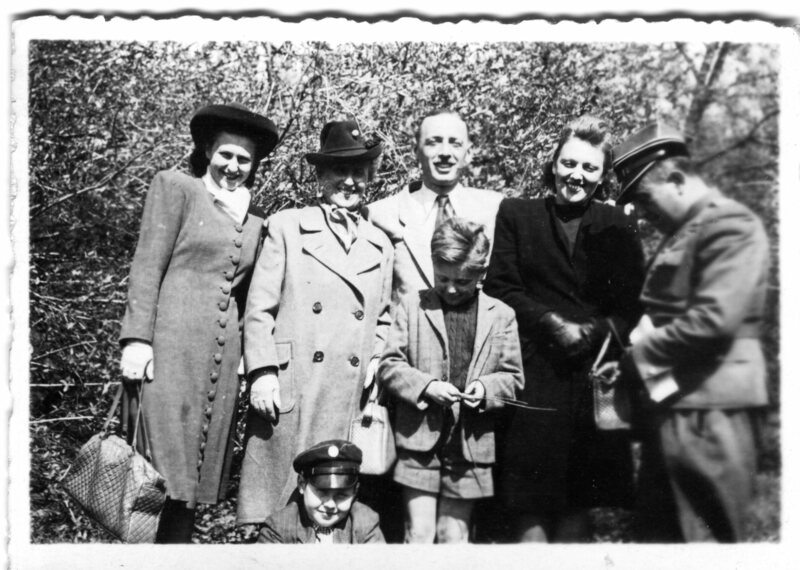 A photo from my grandmother’s papers of Mirka (Rachel’s daughter), Rachel (Babcia’s sister), Czesław Mochorowski, and Nelly. The boy who is standing is Bogdan, Rachel’s grandson, the son of Samek and Nelly. I don’t know who the man on the right or the boy at the very bottom are. 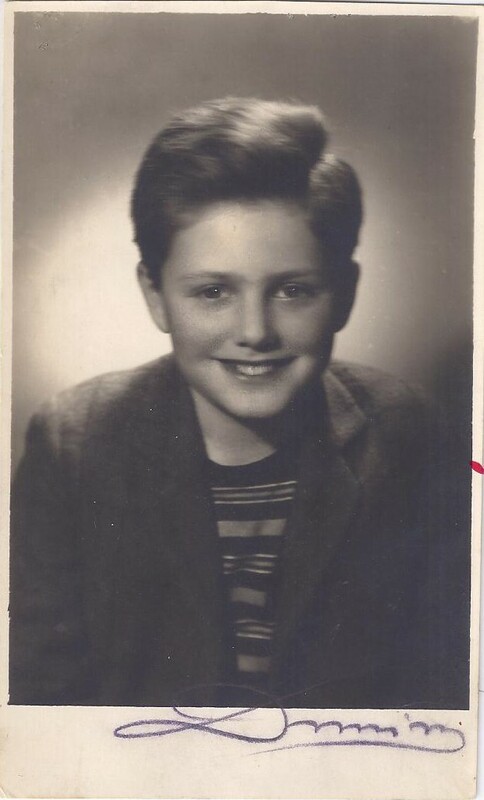 This was probably taken in Warsaw right after the war ended. 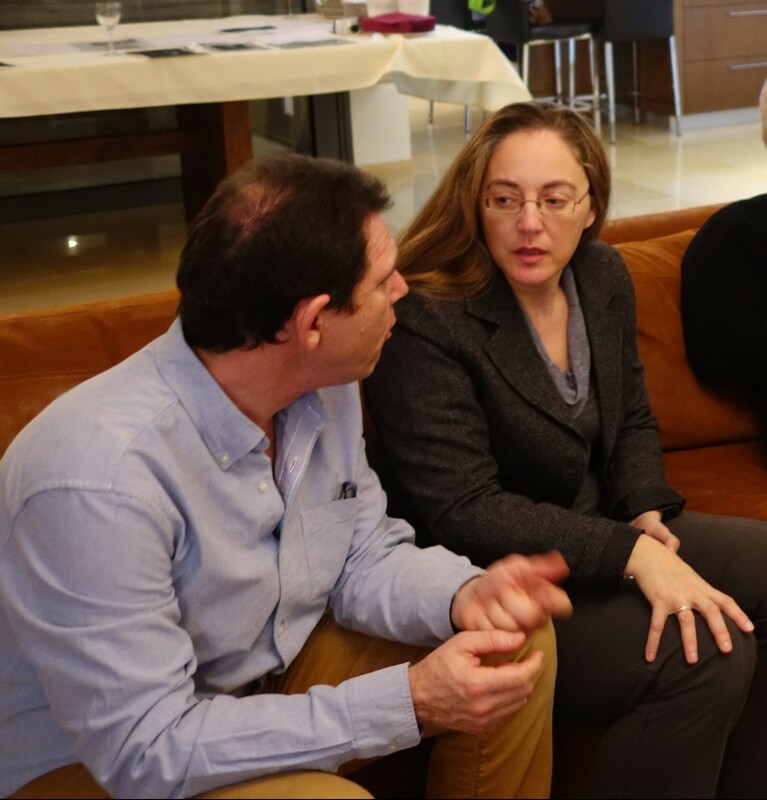 While I was visiting Israel in February, a few of Rachel’s descendants told me an anecdote that may well point to ongoing correspondence between Halina and Rachel even after Rachel moved to Israel, but also some tensions. As the story goes, a sister of Rachel’s fell out of touch for three years after Rachel sent her a letter in which she had written on both sides of the paper. This was somehow offensive to the sister. The cousins said they weren’t sure which sister this was, but it definitely sounds like something Babcia might have done. She was the one who took pride in her gentility. Nunia, as far as I recall, was far less concerned with formality, and Sarah has been described to me as very sweet. Neither sounds like they would have taken offense over a point of etiquette. But who knows? I can only assemble these fragments, and occasionally draw tentative lines between them. If Rachel was anything like my grandmother (and her descendants have indicated to me she was), she was a formidable individual with definite ideas about the world. It’s not hard to imagine that she and her sister, my grandmother, would have locked horns sometimes.